I've been pretty pitiful at producing art since I became pregnant with my first child. But here are a couple of recent (sort of) paintings that I've done. 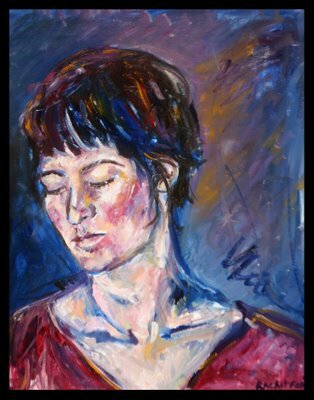 I did this painting of my friend Leilah right before she moved to Israel. It's a live portrait. This is from a beautiful old photograph of my husband's grandfather. 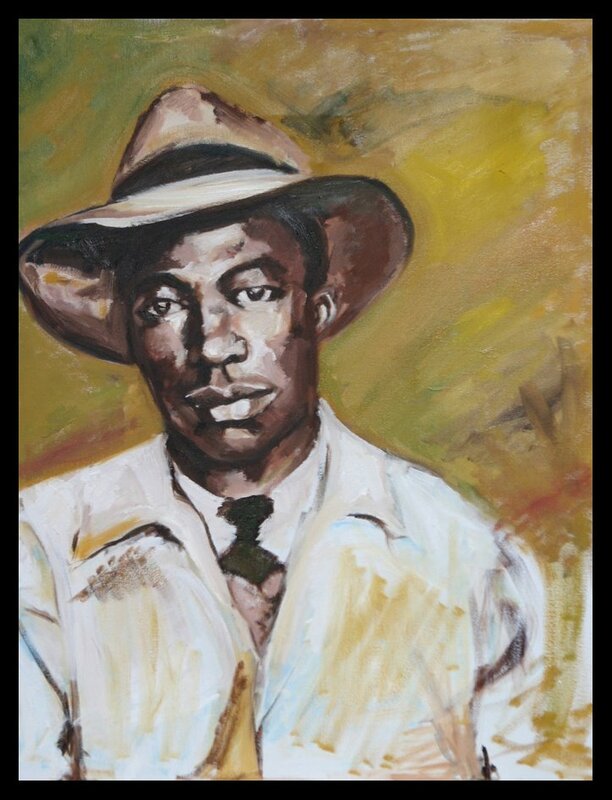 He died of tuberculosis when Chinua's dad was young, and the photo caught my heart, as he looked so winsome, and so much like Chinua and his family.